The toy market is specifically aimed at children so they have a reciprocal relationship with them. The children show an interest in what they want and the advertisers show commercials of what the children “need to have”. From the time they are old enough to watch TV or listen to their parents or peers they already have influences of what they should be thinking or buying or wearing. It is not fair for the children to have these ideas put in their head without being able to make their own decisions and choose for themselves what they want to like or be interested in. Commercials can be seen to alter or influence childcare’s aspired social roles, imaginations, how they play, and many other aspects of their lives. In most commercials there were more identifiable girls than there were boys (Larson). It was also found that it is more likely that boys will be the dominant character, and they will most likely be playing in an outside environment (Susan Kahlenburg, “Progression on Nickelodeon? Gender Role Stereotypes in Toy Commercials”). However as a whole, most of the time children would be shown to be playing inside, putting gender and race aside. 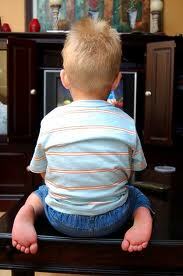 Depending on how much exposure a certain child has to commercials will influence how they will react to the products of the commercial (Johnson, Young). More than $17 billion dollars were spent on advertising and marketing towards children (Larson). So it only makes sense that children are going to be influenced and having decisions made for them. With all this money being spent it is easy to see that the companies would target specific genders, because it could increase their revenue. It was found that 84% of single-gender ads focused on boys instead of girls (Larson). However, now there is a new ratio that has gone from six to one male, to two to one, male to female. Making gender specific toys allows an increase in purchasing, instead of making all gender neutral toys. A hypothesis was made that there will be more girl-only , and boy-only commercials airing then there will be boys and girls together seen in commercials (Kahlenburg). Single-gendered commercials are seen to be more popular than having both genders shown in one specific commercial (Larson). Having certain setting imply which gender commercials are for limits options made for girls (Larson). Roles 62.11/12 (2010): n. pag. Web. 3 Dec. 2010. Unknown Artist. http://www.babybites.info/2010/04/29/peeved-pester-power/. Baby Bites. Analysis." Journal of Broadcasting and & Electronic Media 45.1 (2001): n. pag. Web. 3 Dec.